This is one of the cute little $4 or $5 sets that Offspring3 gifted me. 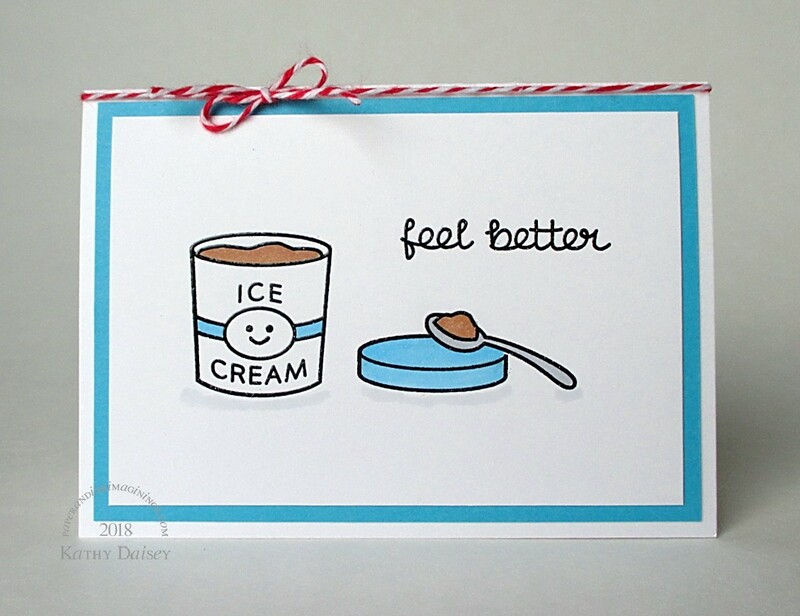 I am all about chocolate ice cream…it can be helpful in almost any situation. Supplies: Stamps – Lawn Fawn, paper – Neenah Classic Crest Solar White, Stampin’ Up! Tempting Turquoise, inks – Copic B02, C1, C3, E23, VersaFine Onyx Black, embossing powder – Ranger clear, twine – MarkerPOP. Categories: card, caring, get well, note | Tags: card, Copics, Lawn Fawn, MarkerPOP, Neenah, Ranger, Stampin' Up!, Tsukineko, VersaFine | Permalink.